Snap up the last few spaces on our painting holiday in Turkey from 13th until 20 April 2015. Come and discover the inspirational landscape of the Turquoise coast of Turkey. 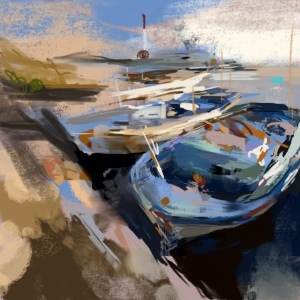 Join a small group with professional artist Anna Martin and be inspired to paint this unspoilt part of the Mediterranean. Contact Creative-Getaways now to join our April painting holiday.